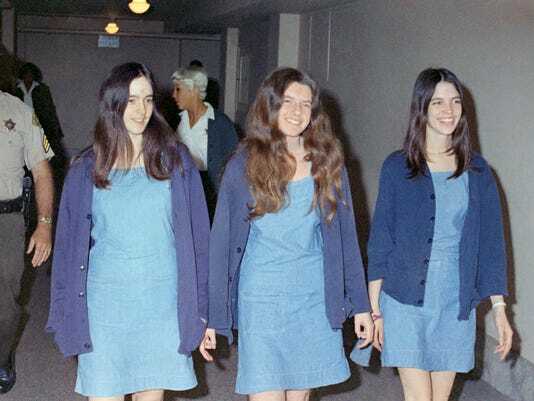 Leslie Van Houten, 66, who was part of the Manson family murder spree of the LaBianca family in 1969, has been recommended for parole. To be fair, there are others who have been paroled for grisly murders. And far more than anyone thinks get paroled in under 10 uears for run of the mill gang murders. So this probably shouldnt be viewed differently. Then again, home invasion where you hold someone down and stab several people to death is pretty up there. Conspiracy, premeditation, multi murder. At least false inprisonment with murder. Those are all soecial circumstances and should have been a desth penalty case. Brown will probably deny parole. the legal guy on GMA was saying brown could choose to not do anything and after a certain amount of time, it automatically is approved. that way she can be freed and it wasn't because he approved it. i don't think she'd be a threat to anyone anymore, not at 66. sounds like she's done all the things she should have done and got her act together. 45 + years in prison . . . i think, unless i hear something really damning, that i'd be okay with her being released at this point. Susan Atkins was the weirdest, which is probably like saying anchovies are better than fruit cake. Brown pretty consistently denies parole for murderers. Atkins used the blood of Sharon Tate to write pig on the front door of the house. Tate was pregnant, begged for the life of her unborn child and was stabbed to death in the stomach so the blood of the baby was part of the message. They should all have been death sentenced 45 years ago and the long gone. **** them all. Let her stay in prison and continue to be a "mentor" to others. Can you hear them? in the darkness. If you leave campus to get a sandwich, it IS USC.